Say bye to your old do and hello to something new. When we find a style that works we tend to stick with it on the daily. It’s familiar, quick… the same. Stepping out of your hair comfort zone to try something new can bring a fun vibrancy to your look. We’re all about exploring new ways to style your current hairstyle. Whether it’s short, braided, natural hair or even the beloved weave, we’ve got a style for you. 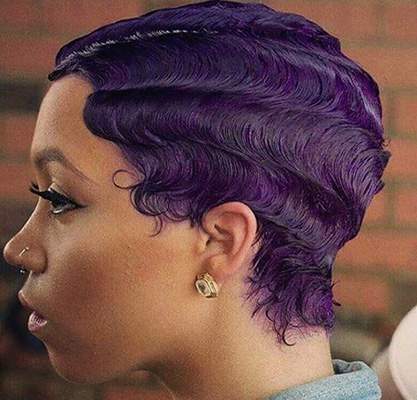 Here are 4 different hairstyles to inspire you to change things up. Short finger wave hair, don’t care! The finger waves are back. This time for our short haired ladies. This hairstyle is destined to highlight your face structure and add an edge to your overall style. For longer lasting waves, wet your hair. Be sure to use a fine-toothed comb to achieve a wave-like pattern. Then use hair gel and conditioner to shape and hold your waves. Inecto’s Passion Plum hair colour looks amazing with finger waves. Don’t apply too much hair gel to your final look as it will delay drying and may cause your hairstyle to flake. It’s important to note that Inecto hair colour works best on relaxed hair, 2 weeks AFTER you’ve relaxed it. Similarly, if you have dyed your hair first, you should wait two weeks before you relax it. Box braids are probably one of the oldest and trendiest protective styles for African hair. This versatile style is the natural go-to for any occasion. From being able to indulge in some swimming without having to worry about your hair, to creating the perfect updo for an upcoming wedding. It’s a convenient and low-maintenance hairstyle. 4. Colour. It’s the most accessible way to switch up your box game. Add a twist to your hairstyle with a caramel blonde toned boxed braid. No need to wake up at the crack of dawn just to get your hair done. Just spray and go. Not to mention, it’s the perfect style for holidays; we all know how our natural hair can act in humidity. Respect the edges! Be sure to ask your hairstylist to leave out those baby hairs when braiding your hair. 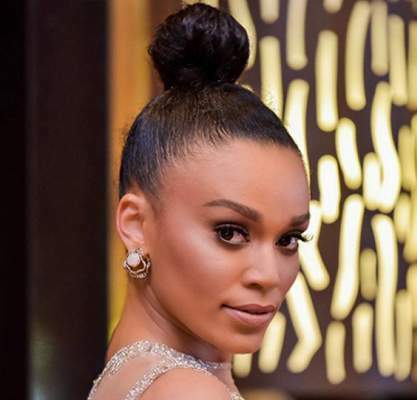 The next style on our list is inspired by, you guessed it, Pearl Thusi! The queen of au naturel. 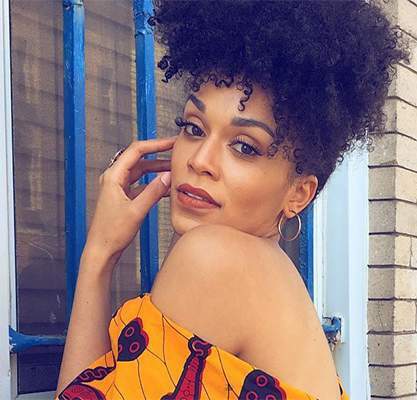 She’s always giving us hair inspo with her stylish and creative hairstyles. Styling African hair can sometimes leave us with breakage, dryness and vanishing edges. ”Keep your ends trimmed and rest your hair between styles. 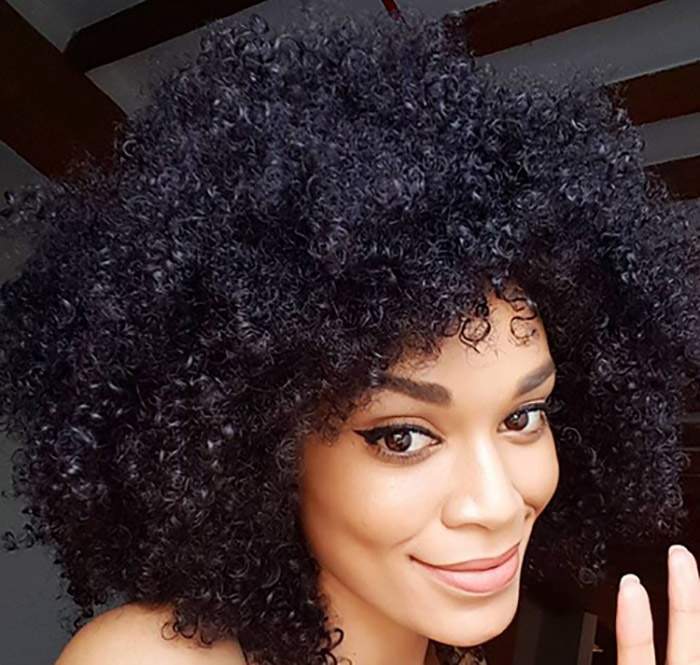 Ethnic hair especially needs a break between treatments and tight styles” – we couldn’t agree more Pearl. Scratching that scalp with ease. And more significantly, you’re able to express your hair’s unique personality through so many versatile styles. Pearl is a natural at finding ways to style her hair. She’s serving fierce face goals and sleek sophistication with this avant garde top knot. Weaves come with the versatility of adding thickness, length and more excitingly, style to your look. 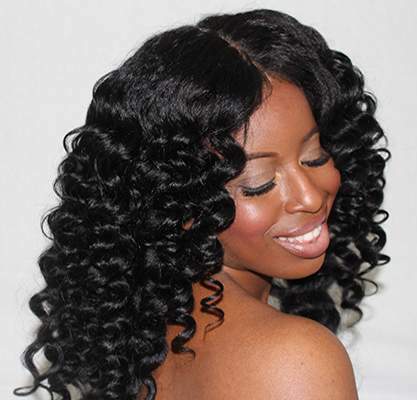 There are various types of weaves on the market. The most sought-after types of weave are Peruvian, Brazilian, Indian, Malaysian and Eurasian. Each type is characterised by versatile patterns including deep waves, wavy, straight or tight curly. Weaves provide a constant manipulation of hairstyles. You can add a chic edge to your weave by using any of Inecto’s colours. It’s important to note that Inecto hair colour only works on 100% human hair pieces. Oh, the pain! The pulling and braiding along the scalp can sometimes cause discomfort. Especially if you have a sensitive scalp. When styling your hair, pay attention to the amount of stress your do creates. Opt for looser styles that don’t put pressure on your tracks. Chic bob with a touch of glam. 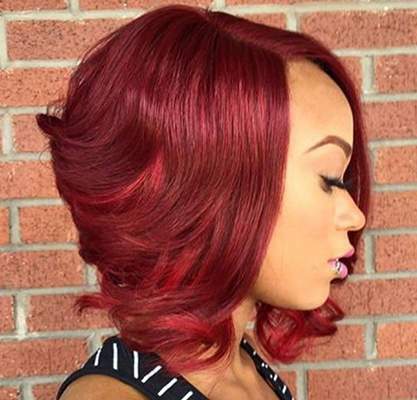 Get the look with Inecto Ruby Red. Bouncing tight curls perfectly frames the face. Which ways have added some fresh edge to your current hairstyles? Let us know in the comments by sharing a picture of you sporting your refreshed, revived look. Follow us on Facebook or Instagram.